Apologies for yet another extended delay, school has been keeping me more busy than I had expected. Anyway, this time, we're going to finish an extended "subquest" and maybe finally get Alm to level 20, so he can be promoted. This time, we're heading north. 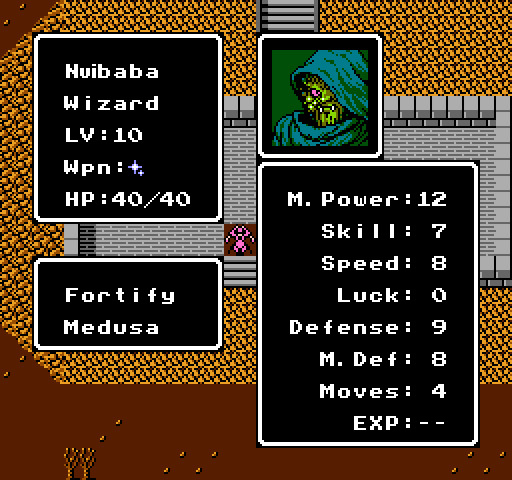 It's the ruler of Terror Mountain, whom all fear: the legendary necromancer Nuibaba... If that dark spell he traded his soul for leaves his lips just once... All living beings will surely have a quick death. Oh, Alm-- why do you go? On this fearful mountain, what in the world could exist? 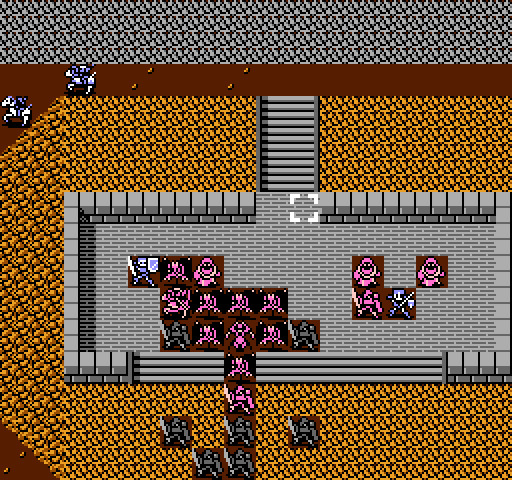 This is still a fairly straightforward battle. 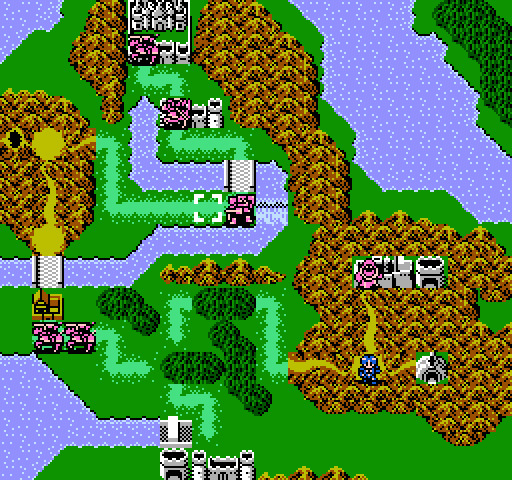 Apart from all land-based units having to walk around Nuibaba's hill while being bombarded by everything on top of it. Nuibaba himself is a fairly dangerous. 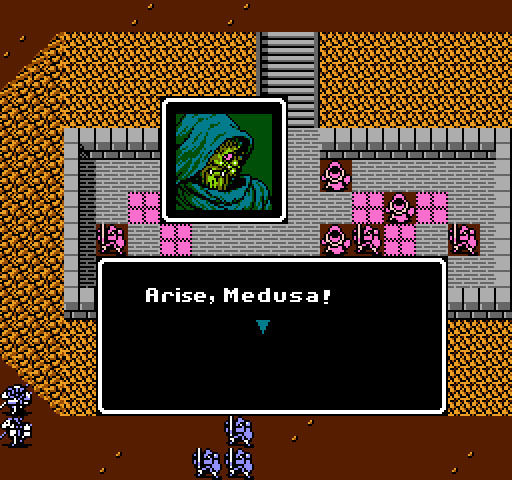 The Medusa spell is rather inaccurate, but it lowers the target's HP to 1 if it manages to hit. This is the effect of Silk's Illusion spell. These units are Slayers, promoted Myrmidons, and even if they are level 1 and with fairly bad stats, they are still a very good meatshield. 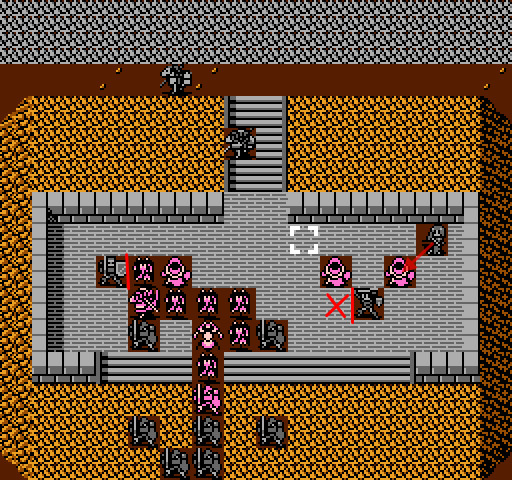 The only rider in enemy range is Matilda and she is acting as a bait for the Bow Knight so that Claire would be able to attack him next turn. I missed taking a screenshot here, but all that happened is that I warped Cliff up to the hill to help Claire attack the Bow Knight. Now is the time you must fulfill you contract with me! 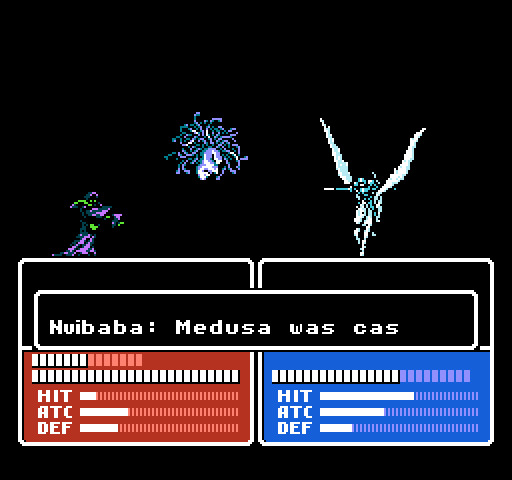 Nice effect, but the pitiful hit chance means that Nuibaba is pretty much useless. Okay, this did not go well at all. 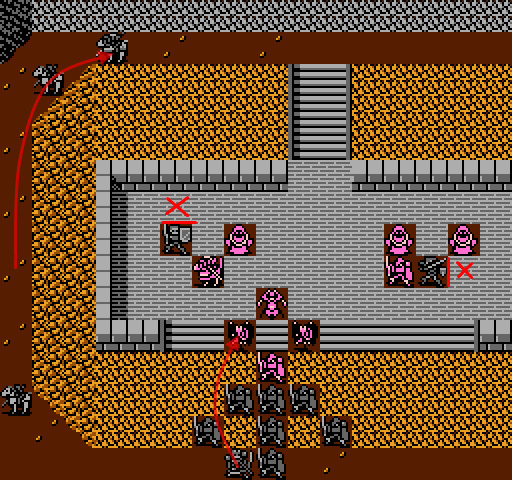 I hope the revival shrine has enough charges left, since Cliff is also in danger of dying soon. 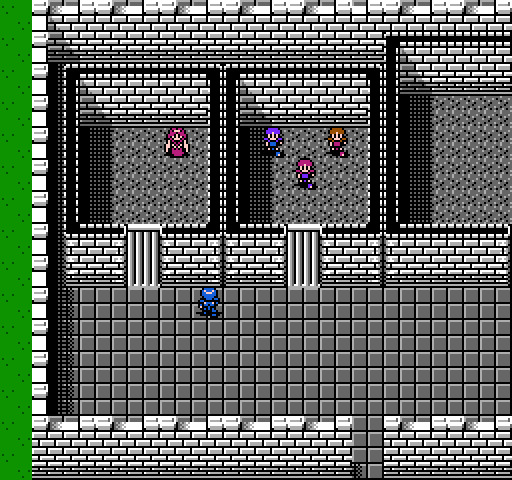 Since I have no better plan, I move Cliff to a recovery tile and warp Alm onto another. 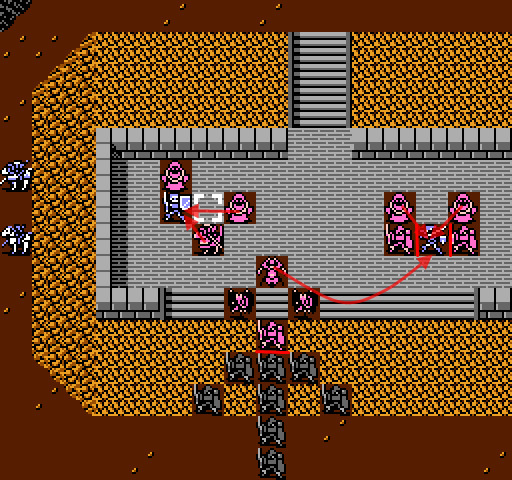 The summoned slayers are climbing the hill, which is actually a surprise, since I did not know it could happen. The summoned slayers are continuing on their journey upwards. 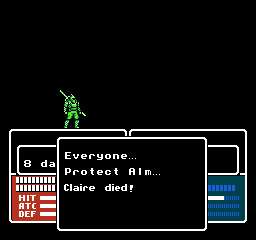 Otherwise, both Cliff and Alm are doing fine. 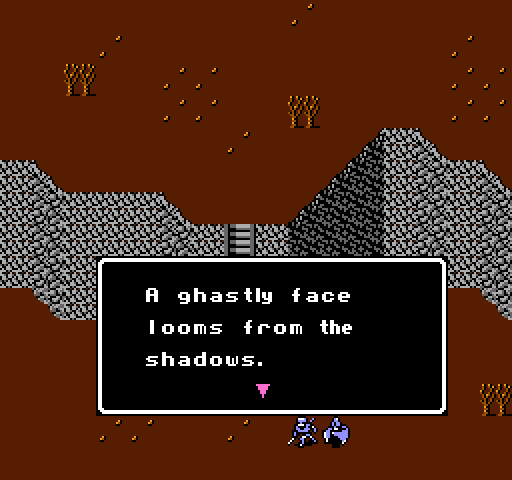 The illusions are finally getting to the top, but the summoned gargoyles are pretty good at slowing them down. 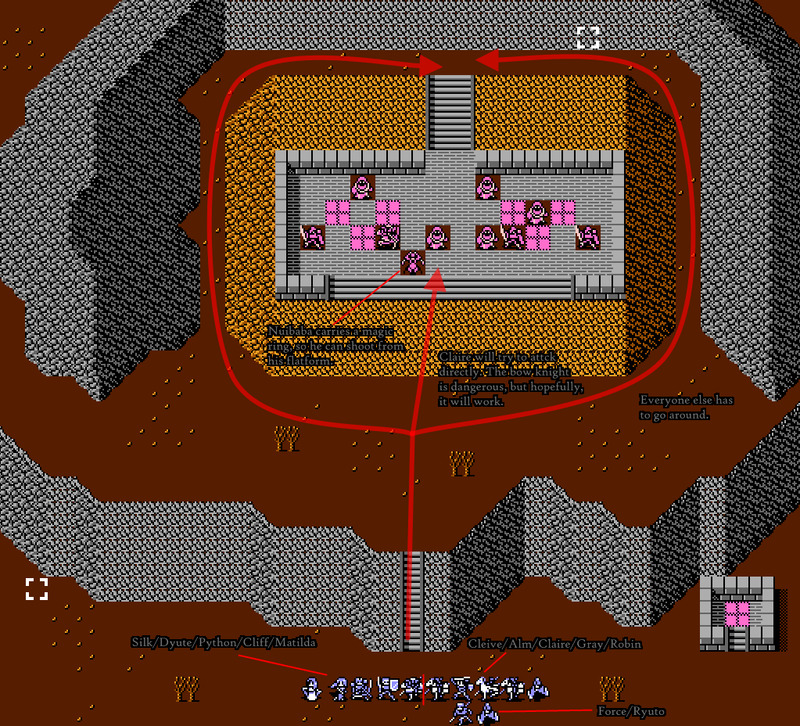 I warp Dyute to the top to help Alm. My position is pretty secure by now. 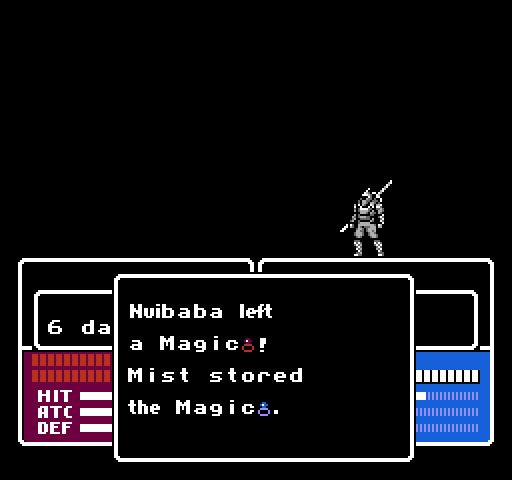 One of the illusions manages to killsteal Nuibaba, but thankfully he does not steal Nuibaba's Magic Ring. As soon as the battle ends, I'm giving it to Dyute. As you can see, the illusions have done extremely well in this fight. 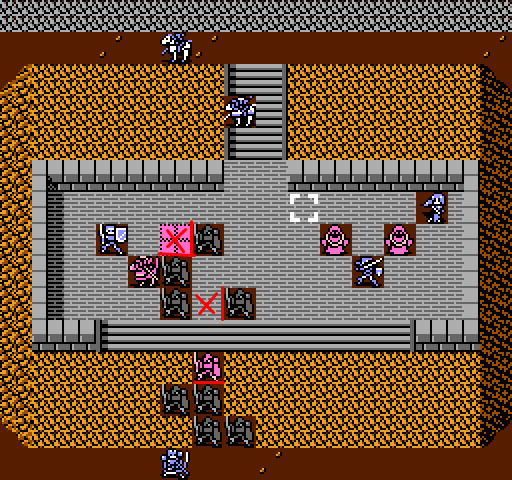 The magic users have pitiful defence and since the illusions are expendable, it does not matter if they get hurt in a counterattack. 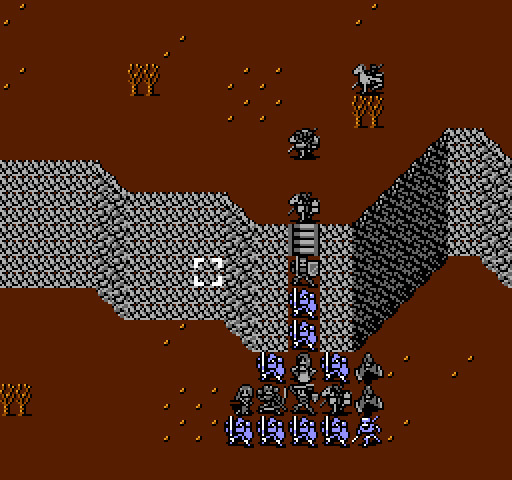 Again, all that is left from the battle is the clean-up. I'm skipping it. 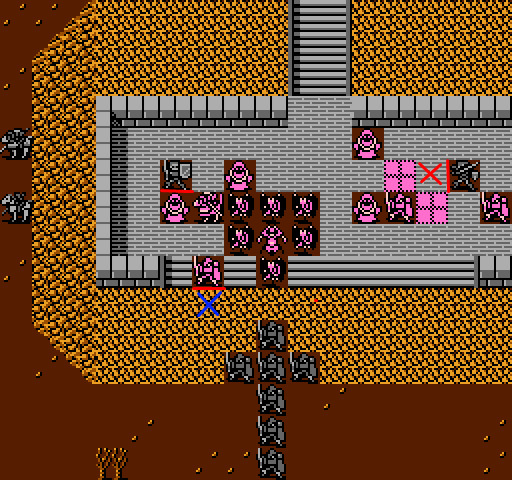 Now that Nuibaba's dead, it is time to loot his manor. 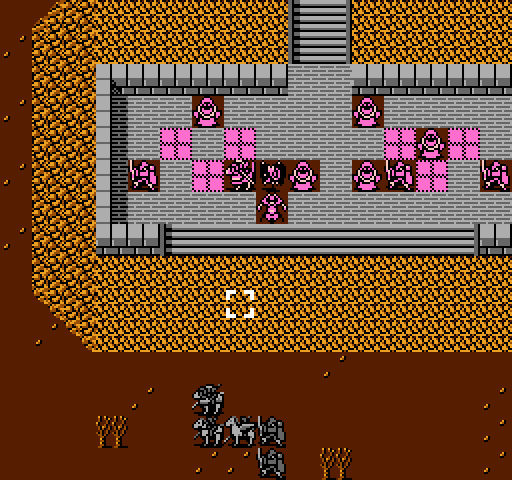 Nuibaba has no treasures, but he's got a bunch of prisoners. He opposed the war, however. To ensure he didn't rebel, I was taken hostage. If Zeke sees me rescued, I'm sure he'll gladly help you. 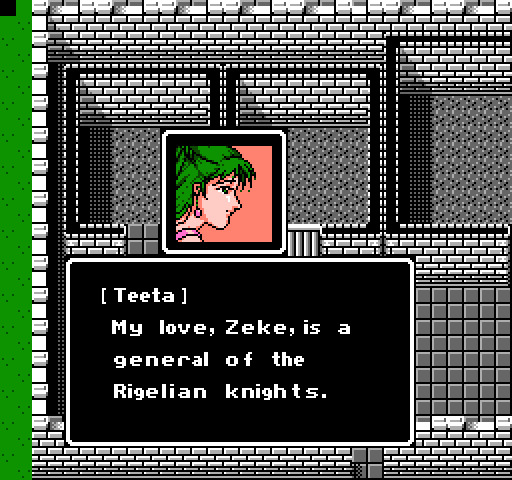 Teeta is actually a very good addition to the team. Her defence is pitiful, but since her current magic selection is Angel, Nosferatu and Physic, she does not need to be anywhere near the front lines. If I grind her a little, she will get even better spell selection. 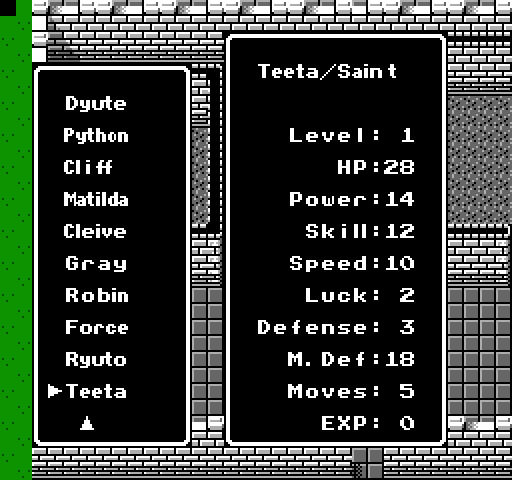 Anyway, she gets the Prayer Ring Dyute was using before and Robin's spot in the army roster. 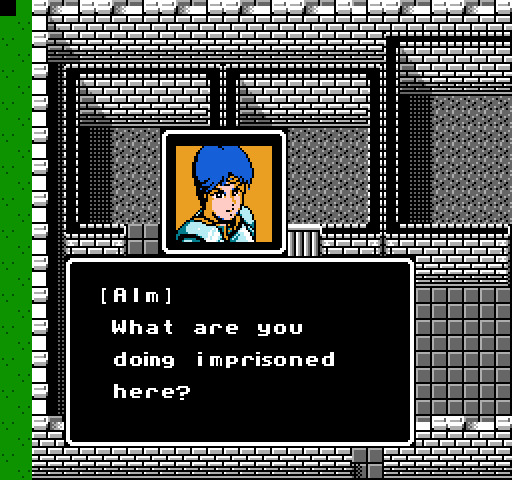 The other three prisoners are traders, who can be used to ferry items between Alm and Celica, but there is not much use for them. Next time: Exciting level grinding action!